Watch a Video: Baby Chicks are Hatching at Forestdale! 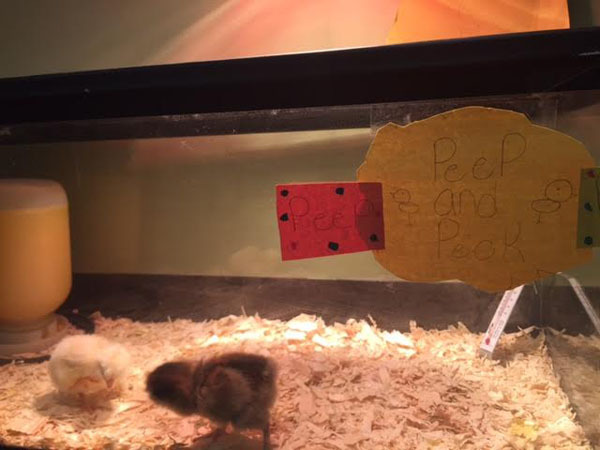 Lynne Morgan, first grade teacher and Paula Chambers, PK-6 Science Coordinator, have both written about the wonderful “chicks” project at Forestdale. This project was funded with a generous grant from the Sandwich Kiwanis. Down on the Forestdale Farm! 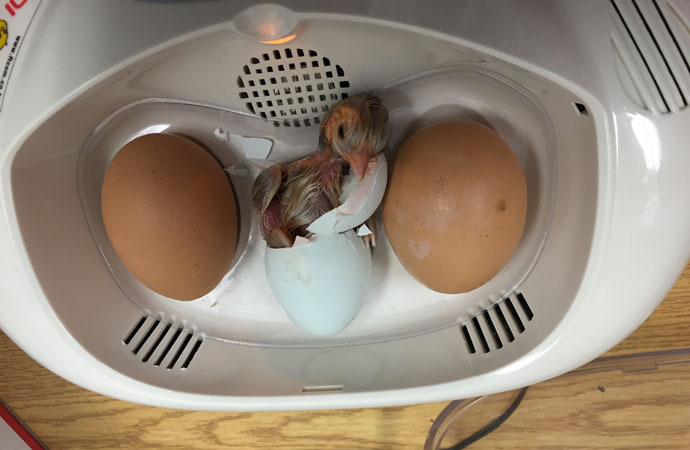 In addition to growing vegetables, butterflies and turtles at Forestdale this year, our students have fully immersed themselves in hatching and caring for baby chicks. 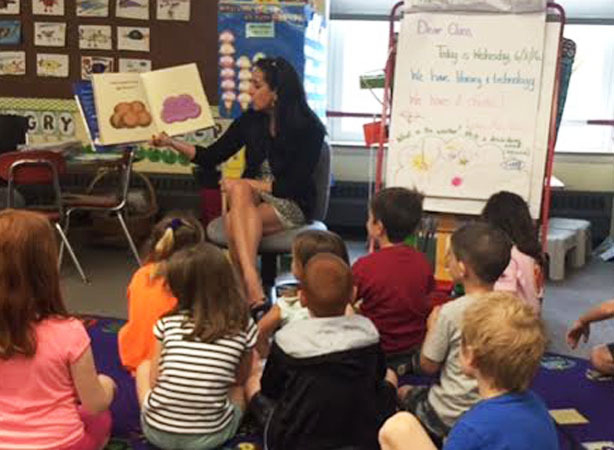 The first grade teachers reported that the unit has been a big hit with their students. Curiosity has exploded. Friday is a big day in First grade, as this is when they get to write about their chicks. This wonderful interdisciplinary unit was developed this year in line with English, Math and Science standards. Students have had the opportunity to read about chicks, to documented and write about the growth of the eggs, to count and sort and now to compare the traits and behaviors of the new hatchlings. The baby chicks will all go home to good homes when the project is complete and our first graders will head off for summer wiser and more connected with one of natures little treasures. See the video below of a chick hatching! Our grade 1 chick unit was a beautiful collaboration of all the first grade teachers here at the Forestdale School. We collaborated in so many ways – writing for the grant from Kiwanis, to planning lessons across our curriculum, to parent involvement. In literacy, we did Shared readings and Read Alouds to learn information all about the chicks. We wrote about what we learned about the chicks. And we even read poems about chicks. In math, we counted how many eggs we started out with(30). We also counted and graphed how many kinds of eggs; brown, white, and pale blue. We counted how many more eggs hatched than didn’t hatch…21 eggs hatched out of 30 total eggs! We collected data on all the eggs in all the rooms and compared. In science, we compared traits and talked about the life cycle. We collected data on which color chicks hatched from what color eggs. We observed as scientists do and wrote in our science journals all about the observations we noticed. We had “chick circles” and noticed even more about animal traits than before. This has been a wonderful experience that I know our first graders will never forget. I am currently babysitting 19 of our 21 chicks at my house right now for the weekend. The chicks will go to their “forever homes” next week.